Carey International is the global leader in chauffeured ground transportation, providing world-class service, unparalleled safety and coveted peace of mind to the world’s most discerning travelers, since 1921. Spanning more than 1,000 cities worldwide, Carey International’s award-winning global franchise network offers uncompromising standards of service, assuring a consistently superior experience virtually anywhere your travels may take you. 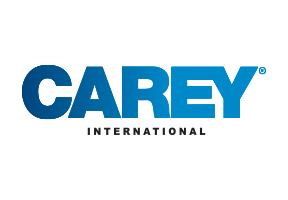 Carey® features a world-class fleet of late model executive and luxury vehicles, a corps of professional chauffeurs, and a full portfolio of specialized transportation logistics management services, including Meetings and Events, Private Aviation Ground Transport, and Road Shows. Embarque® delivers smart, modern transportation utilizing a fleet of conservative, late-model sedans held to the highest standards of mechanical safety and performance. Paired with a team of professional drivers, Embarque is dedicated to offering a unique car service experience that raises the bar on efficiency and productivity, for any class of traveler.